Our Africa Circle of Hope(ACOHF) Community Health Team is returning to Mathare after more than a year. These five dedicated women are led by Dr. Katrina, who helped to establish our first health team three years ago. The participants are medical, education and business professionals from Illinois, California and Florida. Their goal this year is to complete a health assessment of more than 200 orphaned and abandoned children, from babies only a few months old to teenagers, in the Good Samaritan Children`s Home in the Mathare slums of Nairobi. 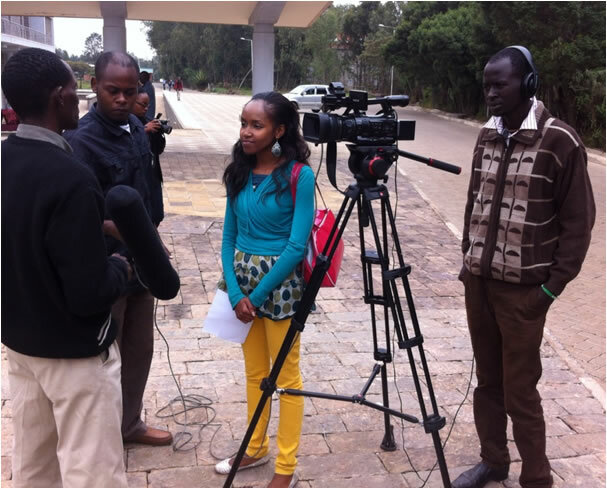 The ACOHF team is assisted by nursing students, including Gladys, an ACOHF scholarship student at Regina Pacis University College completing her Community Health degree. The 2016 ACOHF team members-- Katrina, Simone, Joanie, Kellee, and Kristin-- are competent, caring and professional as they assess each individual. Many of the children are shy and avoid eye contact. Others come and show one of the members of our health workers a hand, arm or leg that is painful, injured or infected. Sometimes an older child brings a younger one and points to a problem. Chronic skin conditions including scabies. fungus and bacterial infections are most common. The children live in close quarters so one child may infect others as they share beds and clothes. The health team is working in the library, one of the cleaner and more orderly spaces in this crowded and noisy facility. Three long tables fill the room surrounded by bookshelves that cover each wall. Dr. Katrina and the team have set up an organized system for handling the youngsters who line up outside the door. The children are brought into the room, five at a time. The kids sit at a table with coloring books and crayons as they wait their turn to see the doctor. Then one by one the children move into the area where all the medicine, bandages, and other supplies are arranged neatly on one of the tables. 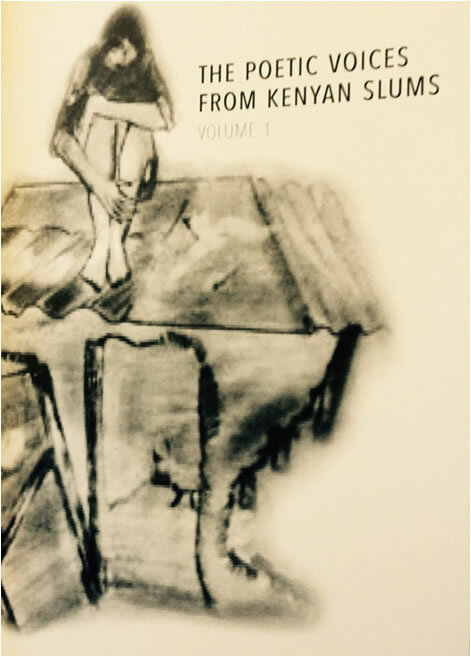 A photo is taken and demographics and other essential information gathered with the help of a translator. Then the doctor examines ears, nose, teeth, head, chest, arms and legs for health concerns, injuries or infections. Any abnormalities or health problems are noted in each child`s individual record. Then they are washed and wounds are treated and bandaged. After treatment each child receives a sticker and a biscuit or cookie. Each member of the health team has a specific assignment and they are all working together to help each child. Some of the more severe cases the team has treated several times over the week. It is encouraging that the girl with sores all around her mouth and chin is now healing. The small boy with twisted hips is walking better even after a few days. The child who was malnourished and sleeping all the time is now more alert and getting individual feeding with nutritious supplements. Three or four children who are in need of immediate medical attention are taken to a nearby hospital in our van. The clinic is a very different environment for them. They touch the clean white benches and are amazed at the place, but taking blood samples and injection needles are frightening for them. The kids are hurting but very brave. Somehow they sense that these people can help them feel better. It is the attention to these children and human touch that are also healing. Each child is important and treated with respect and kindness by all the members of the team. Every child they see is, for a few minutes at least, the most important person at Good Samaritan. Each day the health team checks on the progress of children who have critical medical issues. We are all concerned about how to ensure continued monitoring and health care for everyone from babies to adolescents at Good Samaritan. The answer actually came through the interactions of our group. This was a powerful experience for the ACOHF health team and the nursing students helping these vulnerable children. Our working synergy created a collaborative solution. A team of student nurses will go to Good Samaritan every week or two to check on the children, provide necessary care or intervention, and maintain an ongoing health record coordinating with our ACOHF group. Our team also started a dental health initiative "Brush Your Teeth Every Day" campaign with demonstrations of how to brush, health posters and donations of toothbrushes and toothpaste. This will be reinforced by the nursing students. ACOHF has also provided funds for building wall shelves to organize clothes for each child rather than all of them picking something from a musty pile in the corner and sharing clothing, which can get moldy and also spread skin diseases. The health team and student nurses are working on implementing this system and also organizing medicines so that the staff can effectively dispense them to children with specific needs such as those who are HIV+, suffering from malnutrition or with severe infections that require antibiotics. 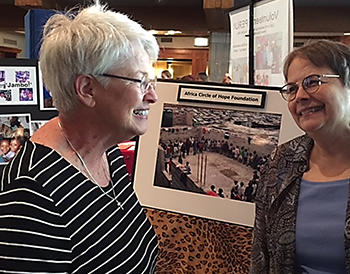 Our community health program has now expanded and Africa Circle of Hope will collaborate with our Kenyan partners to provide basic health care to these orphaned, abandoned and vulnerable children. The success of all these efforts will be the improved health and quality of life for all the children at Good Samaritan. We are so thankful for our Community Health team. Now, what we need is some dentists. "Aids the biggest killer of youth." I was concerned to see this headline on the front page of the Daily Nation newspaper today. According to estimates by the National Aids Control Council, more than 435,000 adolescents, age 10-19 are HIV positive and almost 120,000 more have not been identified. A Health Metrics and Evaluation study just published reveals that 2,531 youth age 15 to 19, most in secondary school, died of HIV/Aids in 2013. There were 2,398 HIV/Aids deaths of youth between 10 and 14 years. Anyone who though that Aids, which is now largely preventable and treatable, was under control must rethink that assumption. But that is another story. There are many people who are living and surviving with HIV. 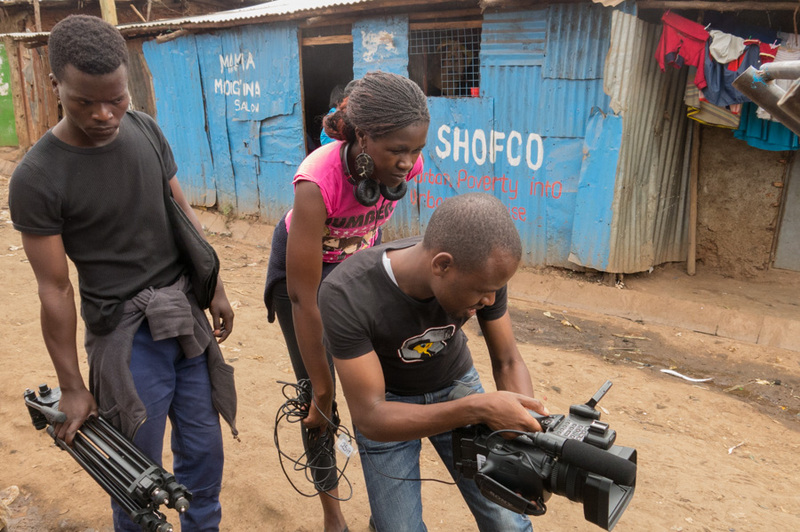 One group of courageous women that Africa Circle of Hope has been working with for more than 10 years is the Meru Association of Positive People (MAPP). This group of 20 women, ranging in age from their late 20s to their 60s, is surviving and doing well taking their medication and supporting each other. 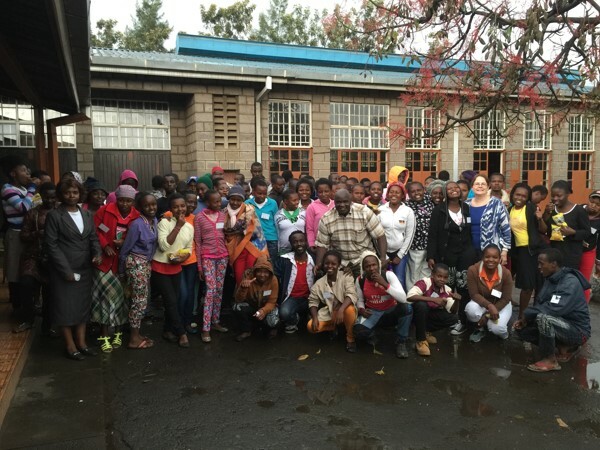 MAPP meets every two weeks at Thiiri Centre in Meru, have lunch and spend time together. Today they tell me about their “Supermarket” where each meeting one of the women receives some small groceries from the other members. 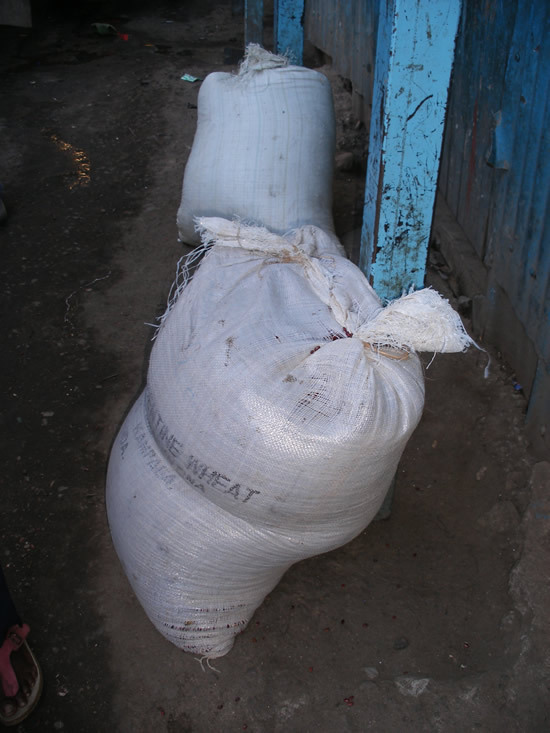 Today the women have brought a kilo of rice, two kilos of flour, a bag of sugar, salt, and three bars of laundry soap. Other times there might be some greens or chipati bread.�Each one brings what she can. The next meeting another member will receive some items. This is a variation of the merry-go-round in some women’s groups where each person contributes 100 shillings or more and the money is collected and given to a different person each time. After lunch the MAPP women work on their project, a small business making and selling soap. They mix the ingredients into a large tub and take turns stirring with a long wooden paddle.� The women also discuss other projects that they might do such as knitting sweaters for school uniforms or crocheting covers for sofas and chairs.� Their concern is that there is no market. They do not have time for projects that are not realistic. Yet they want to do something. One of the biggest challenges for these women is adequate nutrition. Before we began providing food supplements for the women one of the members died because she was only having a cup of tea. Today we have purchased cooking oil and rice for the women. The leader carefully divides their shares out of the 30-kilo bag of rice and 20 liters of cooking oil. They have brought plastic bags for the rice and empty bottles and jars for the cooking oil. Some members ask about black beans and green grams, which are very nutritious but too expensive for them. This would be a special treat. They also say that vitamins do help them feel better. We have brought these in the past and will check on suppliers. ACOHF works with Thiiri Centre and ACOHF board member, Marilyn Makandi, to provide lunch and transportation for the MAPP women who attend their bi-monthly support group. We also ensure that the women receive some basic food supplies. Last time it was beans for eating and planting.� Corn and beans are a staple of the local diet. The women of MAPP are truly amazing people who always inspire me. Their faith is strong and their friendship and concern for each other continues to be powerful. They will survive and Africa Circle of Hope will continue to support their heroic lives. 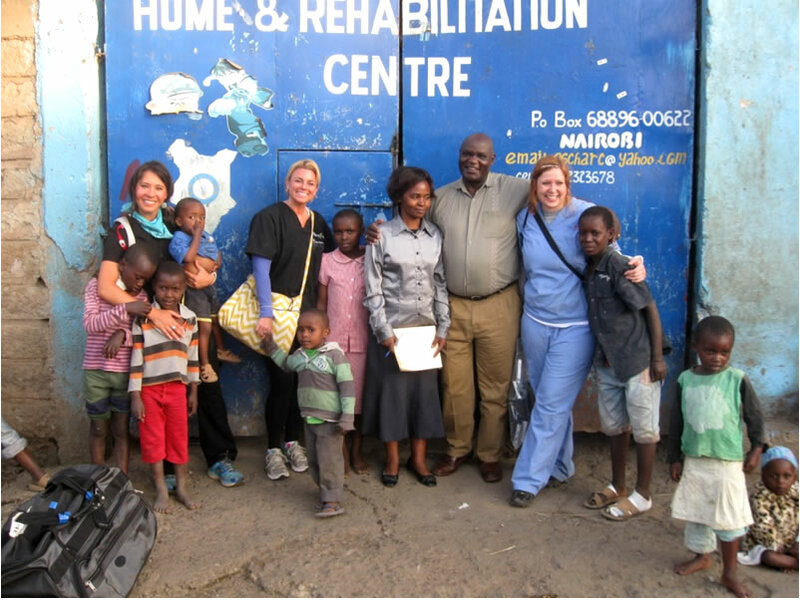 The Community Health Team from Chicago is returning to Nairobi this summer to work with the children living at Good Samaritan Children`s Home in the Mathare slums. This includes health assessment, basic care and public health information. Our ACOHF scholarship student studying community health at Regina Pacis University College will join them in some of these activities. The team is led by Dr. Katrina Ordonez, Clinic Director, Chiropractic Physician, Chiro One Wellness Centers. Young students need adequate nutrition in order to learn effectively. Raymond Mosha, ACOHF Board Member from Tanzania, facilitated the construction of a small kitchen building for the Kyou Primary School in Kilema near Mt. Kilimanjaro in Tanzania. Africa Circle of Hope Foundation helped to fund this project, which will allow the cook to efficiently prepare lunch for the 500 children in this school. This may be the only meal some of these children have each day. The kitchen building provides a clean space where meals can be cooked and kitchen materials and food supplies safely stored. Dr. Mosha worked with teachers and school and community leaders to coordinate this project. The next improvement needed is a more efficient brick stove.